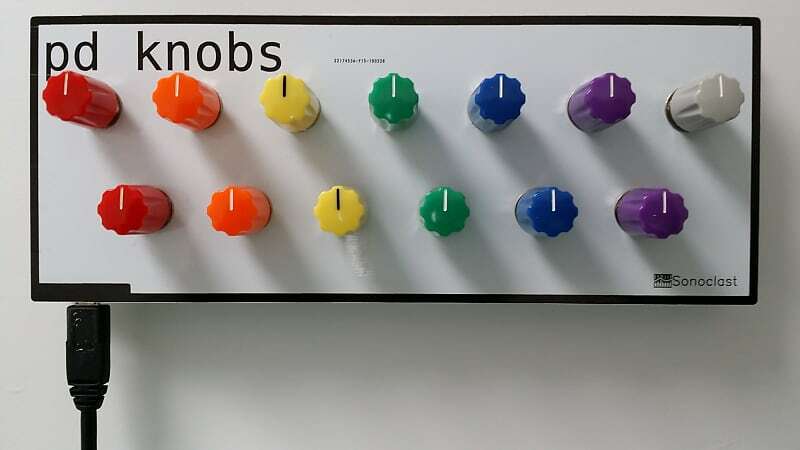 pd knobs is a 13 knob open source MIDI CC controller. It can control any software that recognizes MIDI CC messages, but it was obviously designed with Pure Data in mind. I created it because I wanted a knobby interface with nice feeling potentiometers that would preserve its state from session-to-session, like a hardware instrument would. MIDI output is over a USB cable. Please see Sonoclast.com for more information including source code and Pure Data abstractions. Based on purchase price of $179 at 10% APR for 12 months. Excludes tax and shipping fees, to be calculated at checkout. Rates range from 10-30% APR. Choose from 3, 6, or 12 monthly payments.